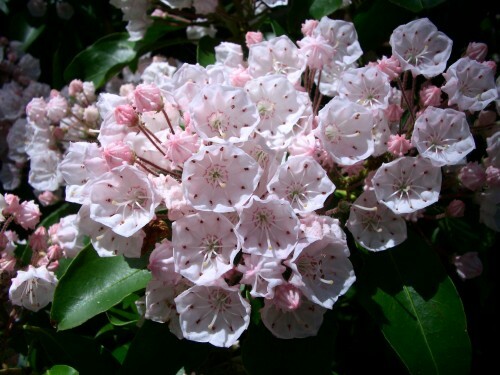 This evergreen flowering shrub is also called the Calico Bush or Mountain Laurel and is native to the Eastern United States. It has glossy green leaves which are poisonous to cattle. The flowers which appear in June, are beautiful pink clusters several inches across. 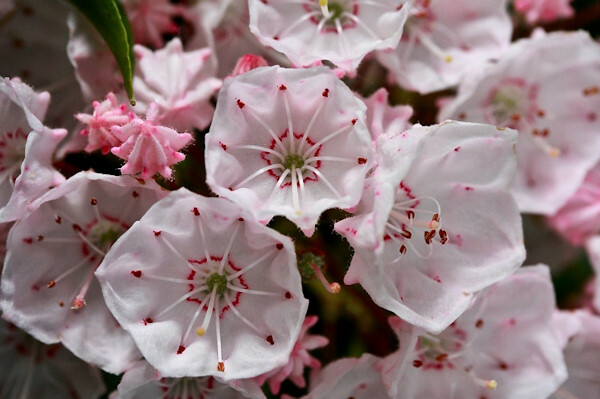 Each floret has long, distinctive stamens. 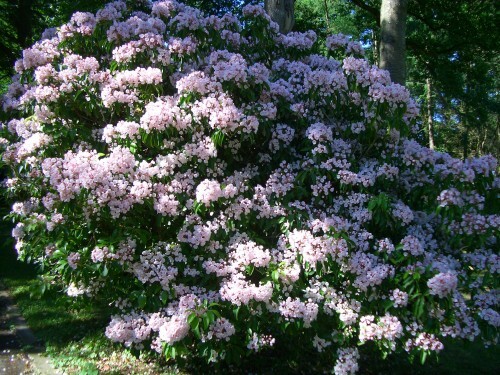 This shrub thrives in part-shaded woodland conditions.